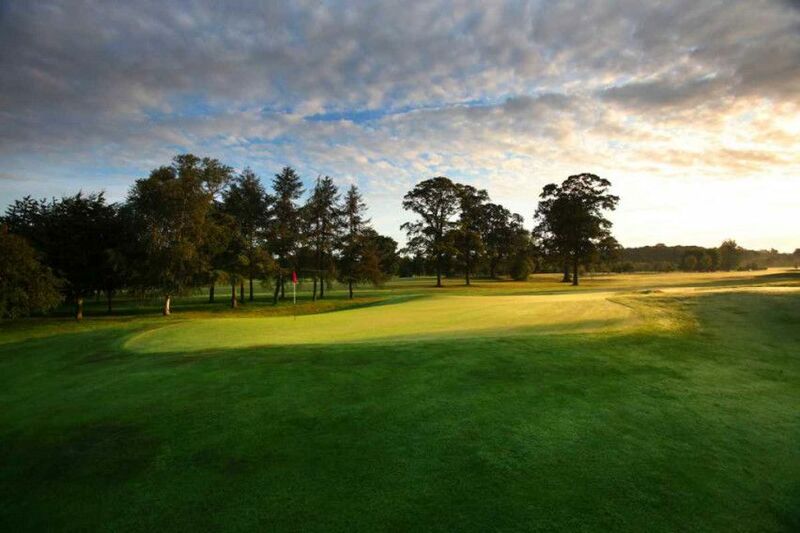 Ross McMurray utilised the mature parkland from the original 18 holes plus an additional parcel of land to the rear of the palatial hotel to create a memorable course that is popular with members and is an ideal venue for corporate outings, society golf days and short golfing breaks. 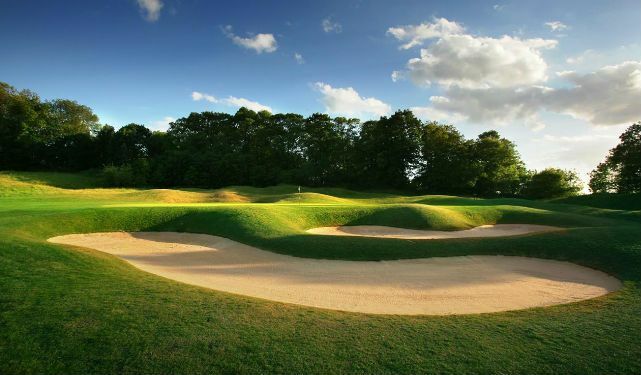 The designer has worked on high profile projects of the calibre of the Wentworth Hills course at Celtic Manor, the Marquess course at Woburn and the second course at Monte Rei G & CC in Portu- gal. 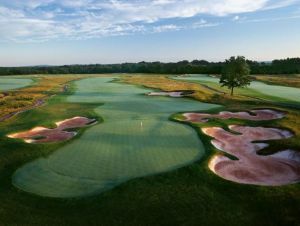 He used all the experience he has gleaned to create a course that sticks in the mind long after the golfer returns home. 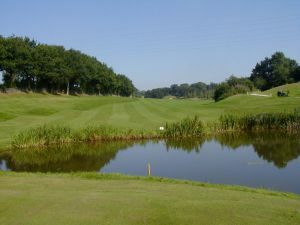 The Manor Course starts gently enough with a 397 yard par 4, a 490 yard par five and a 172 yard par 3, but by the time you reach the 202 yard par three sixth you, begin to get an inkling that the course is not quite as straight forward as it might seem. 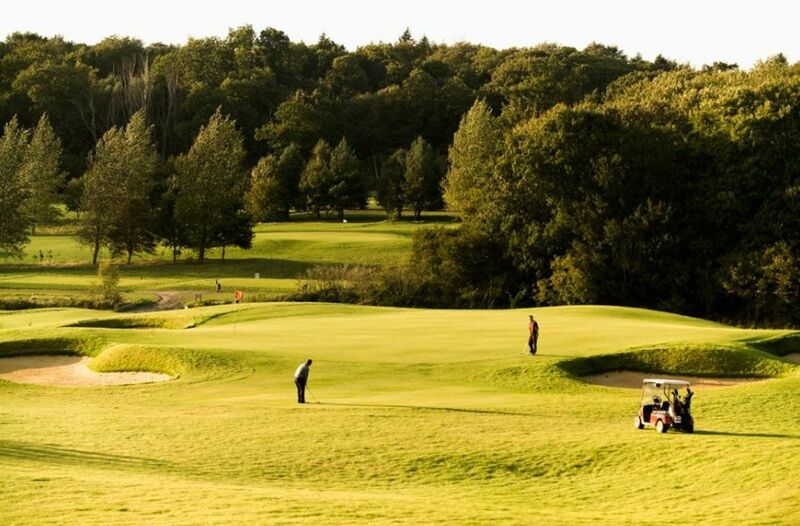 The sixth is a fine par three and it is followed by an excellent 362 yard dog leg par four 7th hole that requires thought as well as accuracy and is truly the signature hole of the Championship Manor Course as it runs along the weirs & tree lined driveway. 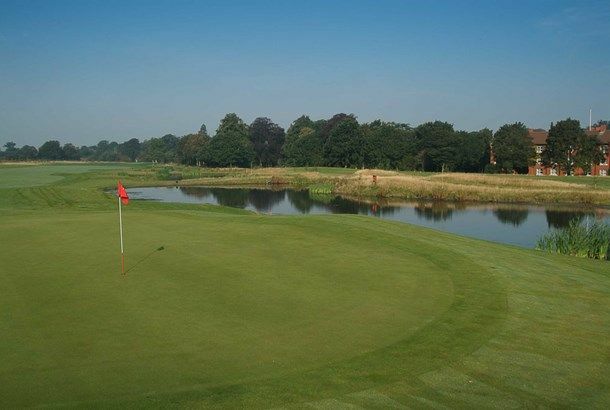 The demanding 7th green, which slopes towards the weirs not only puts fear into the golfer’s heart for that second shot but also tricks up that finishing off touch for all levels of golfers. It is also topped off with a spec- tacular back drop of the Manor House that now serves as the re- sort’s stunning four star luxury hotel. 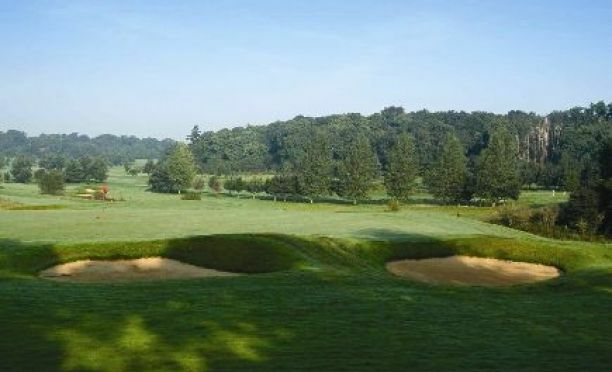 The second nine starts with a straightforward 215 yard par three but then the challenge begins in earnest with the formidable 475 yard par four eleventh which is guarded by water down the left and a series of well-placed bunkers on the right. The eleventh lives up to its billing as the No.1 hole on the stroke index and it is followed by an undulating 390 yard par four and a man-sized 565 yard par five 13th hole, which meanders gently uphill and takes the golfer up to the highest point of the course. 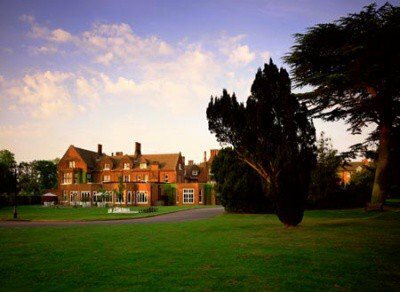 Sprowston Manor Golf Course is not yet in our pool of Golf Courses for orders.